This is an updated post from last year. If you are gearing up for camping season don’t forget about packing for your four legged kids too. Our pup has grown up going with us. While she has not been on too many trip, due to all of the rain last year, we look forward to taking her on more this year. 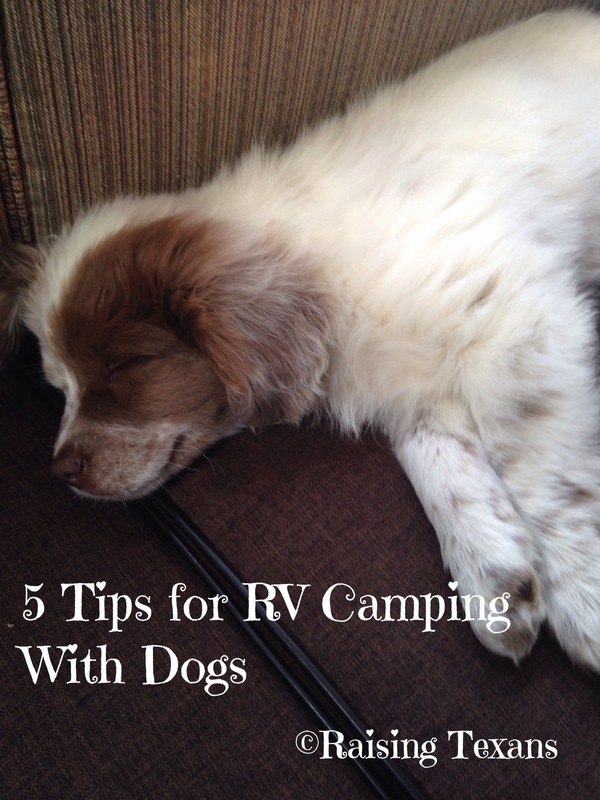 Here is what we have found out in our trials and errors to rv camping with pets. 1. If you know your dog is not going to like it, find them something else to do for the weekend. I know our one eyed Shih Tzu and our Lab with arthritis would much rather lay around at home, with automatic food and water and getting checked on by grandpa when we are gone for short trips. Riding in a car, going up and down steps, and hiking is not their idea of fun. Now our puppy loves it! See one of her first pictures below. 2. Start them young. We got our puppy on a camping trip. She’s grown up going with us. Harley is a year old now. This is the time to train them, especially on campground manners. 3. Take everything you need, especially food. A trip in your travel trailer is not the time to test out a new food because you forgot your normal food at home and the local store doesn’t sell it. 4. Please clean up after your pets. 5. Have fun. They are having as much fun as you are (hopefully)! Be patient with them, there is a lot of new people, new smells, other dogs, wildlife, all sorts of fun for a pup!